Merge Town (MOD Unlimited Money, No ADS) is a very special game that allows players to transform into a mayor, building your own buildings. 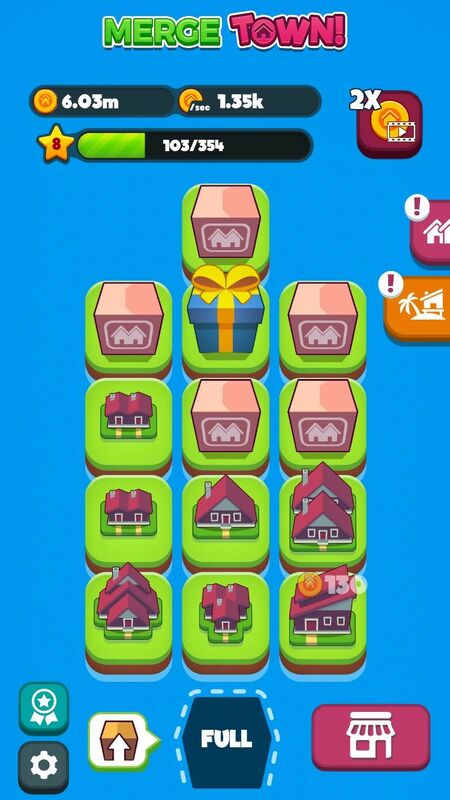 After downloading the Merge Town game, players will be given a plot of land divided into blocks, on which buildings can be built to create housing for all residents and bring wealth to the town. Initially, you will be provided with a crate, when opened you will receive your first building. Every 10 seconds, you can click on the crate icon at the bottom of the screen to create another building in the town. 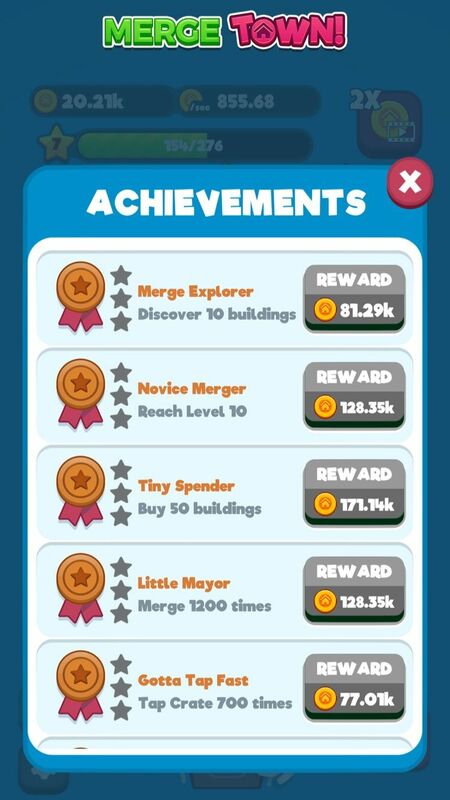 What’s special about Merge Town’s gameplay is that you can merge two similar buildings to get a bigger building with more space and the ability to make more gold coins per second. There are many different buildings, allowing players to merge unlimited buildings to achieve the amount of gold accumulated more and more. Initially, you will be given 6 plots of land, allowing you to place up to 6 buildings in your town. But in order to create more new housing, as well as produce more gold, you need to expand the new blocks. By leveling up, new land blocks will be activated, helping you to build more buildings, thereby giving you the opportunity to earn more money and EXP when merge. Instead of having to wait 10 seconds for the crate to recover and open a single building, you can buy larger buildings at the store. The shop is where you can buy the buildings for your town, where sell all the big and small buildings. When buying a building many times, the price of them will increase, keep this in mind. Occasionally, you will randomly receive a lucky gift box that when opened will receive large buildings. I downloaded the MOD version but didn’t see any money and still see ads? This problem is due to the mechanism of the game. Do not worry. When you first open the game, you play through the tutorial, then exit the game and reopen, the MOD feature will be activated. 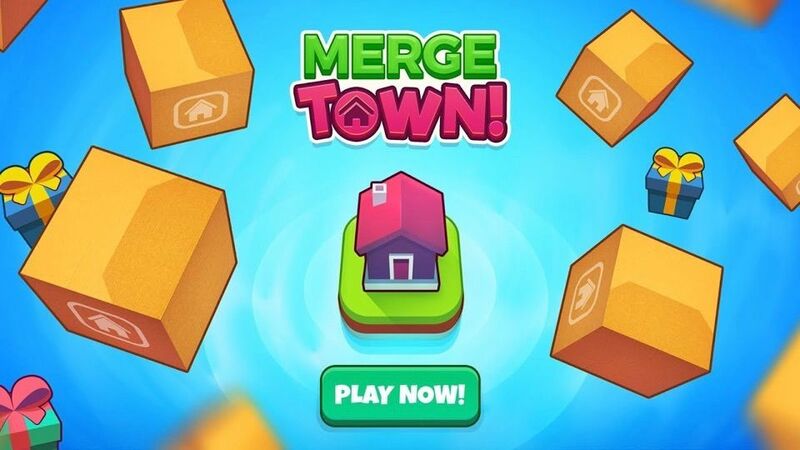 Merge Town comes from a game on the iOS platform, after quite successful in version 1.0 on the first launch, the game continues to be developed for both mobile platforms are Android and iOS. 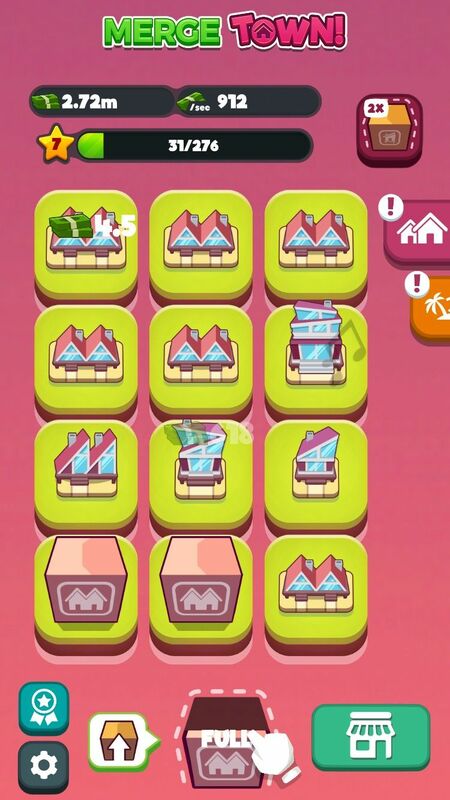 If you are free and want free time is not boring, you can play Merge Town as a pure entertainment tool. Merge Town! MOD APK is ready to download! 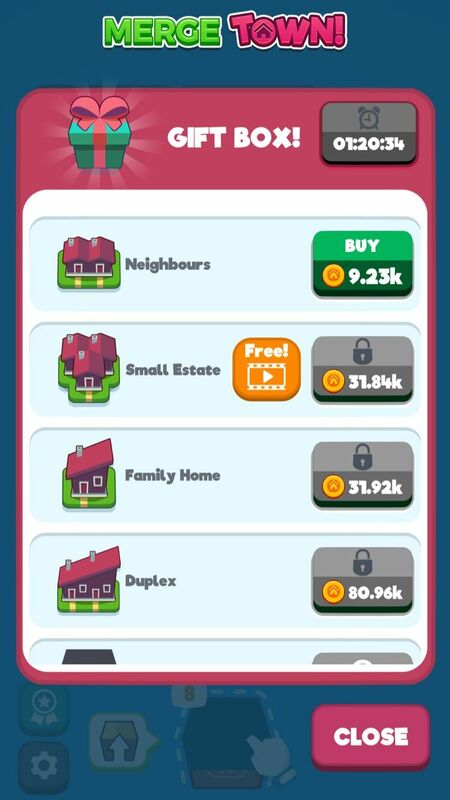 Depending on your needs, you can download Merge Town! MOD APK or Merge Town! Original APK. Or install from Google Play / App Store if you want.